I never realized that shoreline birds are fascinating, especially if we can observe them closely. In the fraction of time when the rain stopped and the sun showed up a bit, 1/4000sec was possible to freeze their fly. 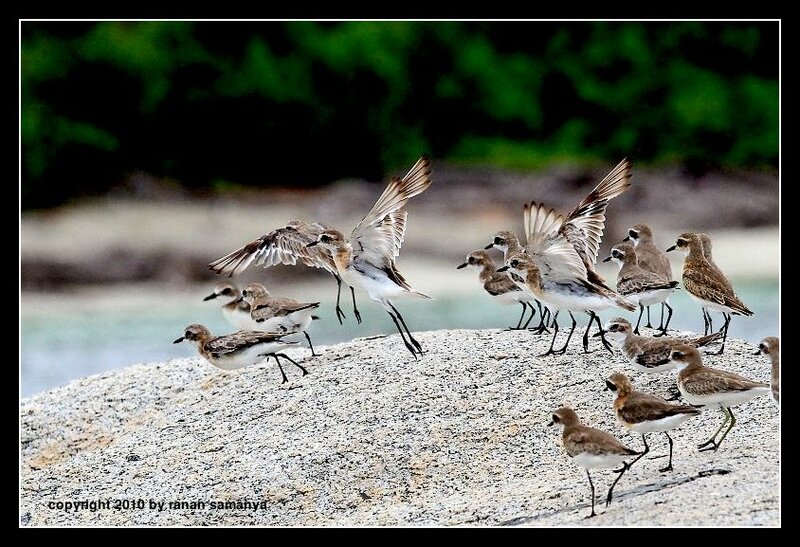 A flock of Lesser Sand Plovers (Charadrius mongolus) in Segiling, Bintan, with moulting plumage for the non-breeding period. They breed discontinuously in areas across east Asia from the Himalayas to North East Siberia, and occasionally in Alaska. 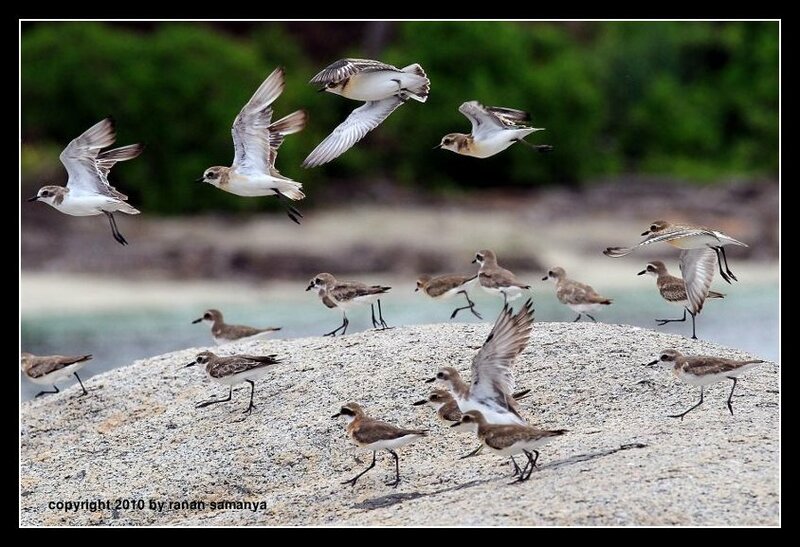 Winter, non-breeding distribution includes the coasts and estuaries around the Indian Ocean and South-West Pacific (including Australia and New Zealand). 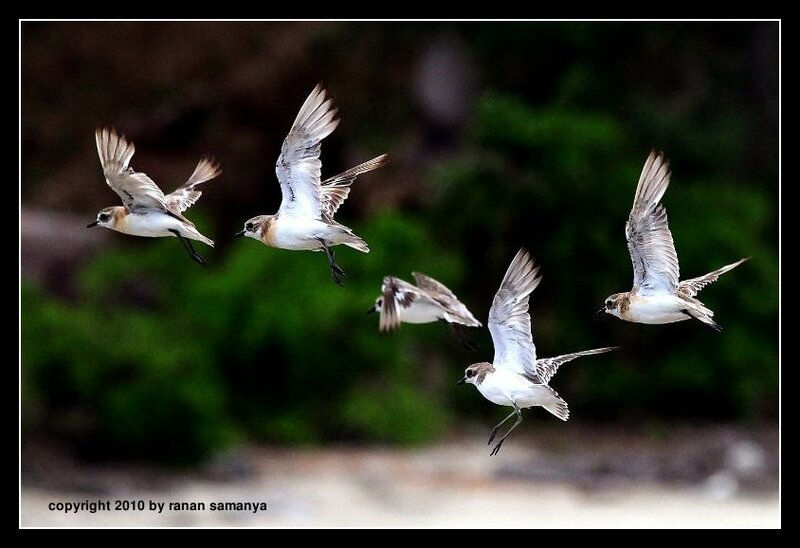 They are also known to winter in eastern and southern Africa, from the western shores of the Red Sea to South Africa. fotonya cakep pak, thumbs up! Tkyu Bram. Ini di Bintan Utara. Ngambil dari laut.